The outbuildings of Newland Farm marked 83 and 84 are more or less where they are today. Newland Farm House is opposite. The cottages behind the Pond at 82 were later rebuilt. The black building at 81 was the Dissenters' Chapel, which was demolished after 1850. The 'Bull' is by No. 77, with the Parish Cottages opposite at 79. The buildings at 74 - 76 have long since gone; the present-day Pavilion is further south. The buildings on 219 - 221 have also been replaced by more modern examples. No. 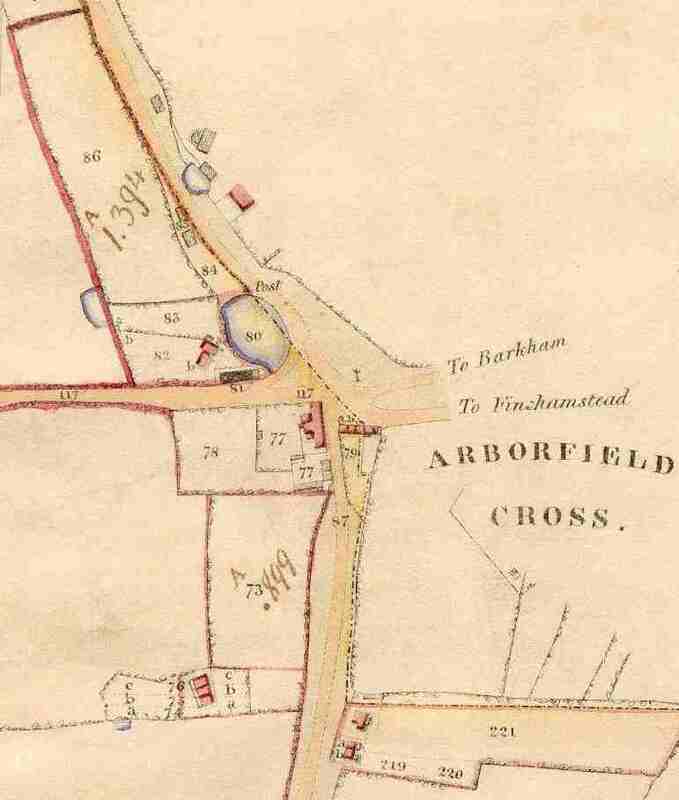 221 is likely to have been the location of the 'Rose and Crown' beer house listed in the 1841 Census. This view shows the houses nearest the Crossroads. See commentary along the left hand side.